We all know that a good pre-workout supplement can take your workout from good to great, but if you want to make your pre-workout even better you should make sure it has creatine in it. 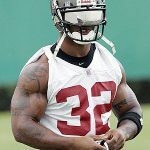 This is because creatine is a serious muscle and strength builder that can take your strength and your physique to new heights. Combining the energy and stamina you get from a pre-workout with creatine is like a match made in heaven giving you all everything you want in a supplement. Let’s learn a little more about pre-workout supplements and take a look at the best pre-workouts with creatine. Taking a pre-workout before your workout can definitely take it to the next level. Here are some of the main benefits of taking a pre-workout supplement. 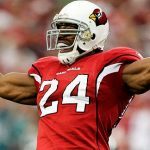 Increased energy – The most well-known benefit is the increased energy you have to workout harder than before. 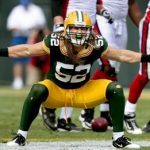 Smash plateaus – Training harder leads to new gains in strength. Increased stamina – Not only will you be able to train harder but you will be able to train harder for longer periods of time. Massive pumps – Your muscle will experience the best pump of your life. 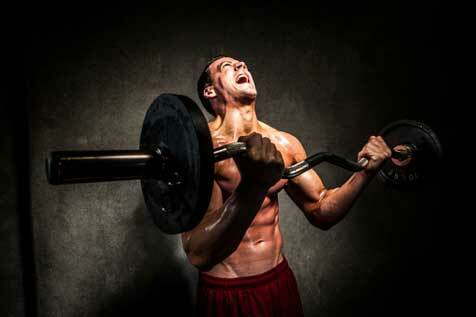 Increased Strength – Pre-workout supplements have ingredients that build strength and muscle. Adding creatine to a pre-workout just makes it that much better. You take something that was good and make it great. Increased strength – Creatine is the best strength builder you can buy (legally). Increased muscle growth – Increased strength also means more muscle growth. Faster recovery – Creatine reduces cell damage and inflammation during intense exercise in both strength and endurance athletes. Better brain function – Creatine even help your memory and with brain performance under time restraints. How Do Pre-Workout Supplements with Creatine Work? So, to sum all this up, a pre-workout will give you extra energy for your workouts, better focus, more stamina and even incredible muscle pumps. 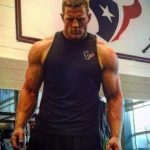 The creatine will add some serious strength and muscle building along with faster recovery making pre-workout supplements with creatine a superior choice for people who want an awesome workout experience with serious muscle and strength building on top of that. Now let’s take a look at some of the ingredients to look for in a pre-workout. If you want a good pre-need to be sure you get one with solid ingredients. Here are some of the best ingredients that you are going to want to make sure are in there. Creatine – As we have already said this one is a solid muscle and strength builder. 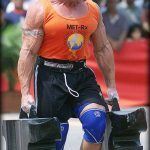 We prefer the creatine be in the form of creatine monohydrate or creatine HCL for maximum performance. 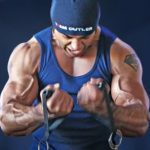 Citrulline Malate – We have talked a lot about what a muscle and strength builder creatine is but Citrulline Malate is another solid strength builder that is also great for endurance. Caffeine and L-Theanine – As most of you know caffeine will give you a boost in energy. When you combine caffeine with L-Theanine though you get a relaxed energy with focus rather than a hyper and scatterbrained energy you can get with just a big dose of caffeine. Red Beets – Red beets have been shown to give you massive muscle pumps. If you want your muscles to feel like they are going to rip through your skin then red beets will get you there. Rhodiola Rosea – This one is a Scandinavian Herb that has been shown to help boost mood, battle fatigue and boost cognition. BCAA’s – Branched chain amino acids help you build more muscle and recover faster. 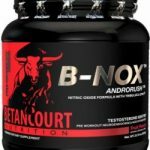 Betaine Anhydrous – Helps build muscle and also helps to delay fatigue so you can lift heavier for longer. These are a pretty common problem in the supplement industry that is only getting worse. A proprietary blend is where they take a bunch of ingredients and mix them all together and call it a blend. The problem is on the label they just tell you how big the blend is and not how much of each ingredient is in the blend so you have absolutely no way of knowing. DMAA is a very effective pre-workout ingredient that gives you increased energy and power. The problem is that it is structurally similar to amphetamines and is loaded with bad side effects like high blood pressure, heart palpitations, rapid heartbeat, mood swings and more. Needless to say this is one ingredient you want to avoid. This ingredient is a cognitive enhancer that gives you a mental boost. The problem with this ingredient is that the effects are very short lived and it has numerous side effects including nausea, diarrhea, and vomiting. 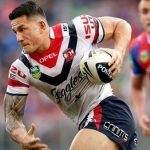 This is another one to watch out for. 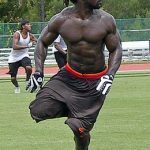 We have told you what a good pre-workout with creatine can do for you. We have also given you the best ingredients and told you what to watch out for. Now let’s go over the best supplements for you to choose from. PreSeries Stim-Free is another top notch pre-workout that will build some serious strength and muscle. 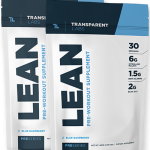 This one is a stimulant free pre-workout so you if you don’t like having too much caffeine or other stimulants then this might be a good one for you. Don’t be thinking it isn’t effective just because it doesn’t have stimulants either. This one is loaded with some really awesome ingredients that will be sure to get you a great workout and help you build some serious muscle and strength. Let’s take a look at the ingredients and see what it’s all about. 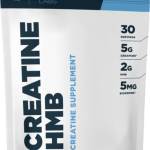 Creatine HCL (3000mg) – They used a heavy dose of creatine for more muscle and strength. BCAAs (4000mg) – Branched chain amino acids help you recover faster and build more muscle. Beta-Alanine (4000mg) – Delays muscle fatigue and provides that tingle sensation. Betaine Anhydrous (2500mg) – This ingredient has been shown to increase muscle growth and also delay fatigue. Citrulline Malate (6000mg) – This is one of our favorite pre workout ingredients, a solid muscle and strength builder. N-Acetyl L-Tyrosine (600mg) – Improves mental performance, concentration, and focus. Bioperine (5mg) – Helps make sure all the nutrients are absorbed by the body. Overall this one is loaded with effective ingredients in heavy doses. PreSeries Stim-Free is designed to increase nitric oxide delivery to the muscles, enhance focus and endurance, and gain lean muscle and strength. They don’t use any proprietary blends and everything is straightforward like it should be. The reviews online for Stim-Free are excellent. We should mention that they also offer a version with stimulants called PreSeries Bulk however that version does not have creatine in it. The price on this one is $49 which is above average but we know they have a coupon code TL10 that should work to get you 10% off of your entire order. If you don’t mind not having any stimulants in your pre workout then this best is definitively one for you to consider. 4 Guage by Roar Ambition is a pre-workout that has only been out for a few months but is taking the market by storm. This bad boy comes in a shotgun shell designed bottle and it is totally appropriate for how this pre-workout performs. 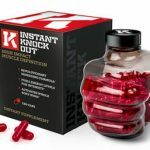 This one is seriously high quality and is also ultra-effective to give you a top notch workout performance every time. Let’s take a look at the ingredients and see what makes this one so good. Creatine Monohydrate (1000mg) – Creatine Monohydrate is our favorite form creatine and we love creatine as a muscle and strength builder. Red Beet (300mg) – Red Beet extract delivers serious muscle pumps and improves vascularity. Citrulline Malate (6000mg) – This ingredient is another one that builds strength and muscle. Rhodiola Rosea (100mg) – This one is a solid mood enhancer to have you mentally ready to smash the weights. Coconut Water (300mg) – Keeps you hydrated through even the toughest workout. L-Theanine (200mg) & Caffeine (150mg) – Gives you the energy and focus to crush your workout. Another thing we really like about 4 Gauge is that it is all natural. There are no artificial sweeteners or fillers or any of that other garbage to worry about. Just natural and effective ingredients. They use a unique blend of natural plant and fruit sweeteners to flavor it and they don’t use any sugar either. The reviews for this one are all excellent. Everyone seems to be at a consensus that this is a great product. The price on the is $45 for a bottle but you can save money if you order 3 of them. The price is above average for a pre-workout but this bad boy is worth it. They also offer a money back guarantee so if you are not satisfied you can get your money back, you will be satisfied though, no worries. Next, on the list, we have Pre Jym by Jym. This is the line made by fitness expert Jim Stopanni and basically, everything in the Jym line-up is good quality. 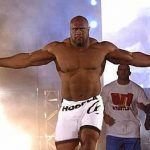 Pre Jym is another good selection with many effective ingredients and good reviews. This one is also not a proprietary blend that many pre-workouts are now. Just solid ingredients that work. Let’s take a look at those ingredients and see how they stack up to our first two supplements. Creatine HCL (2000mg) – A good muscle and strength builder. Citrulline Malate (6000mg) – Another of our favorite muscle and strength builders. BCAA’s (6000mg) – Muscle building branched chain amino acids. N-Acetyl L-Cysteine (600mg) – For focus and mental performance. Beta-Alanine (2000mg) – Delays fatigue and provides that tingle. This one has some really good reviews as well although there were some complaints about the taste and the lack of focus the product provides. 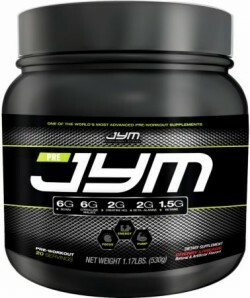 Pre Jym is priced at $47.97 for 30 servings making it the most expensive per serving on the list. There are no coupon codes or discounts for buying in bulk. This one also contains an ingredient we don’t like in Huperzine A, this ingredient can cause nausea, diarrhea, and vomiting so that is a minus. Overall this one is a pretty good pre-workout but it is not as good as the top 2 on the list. So there you have the best pre-workout supplements with creatine on the market right now. 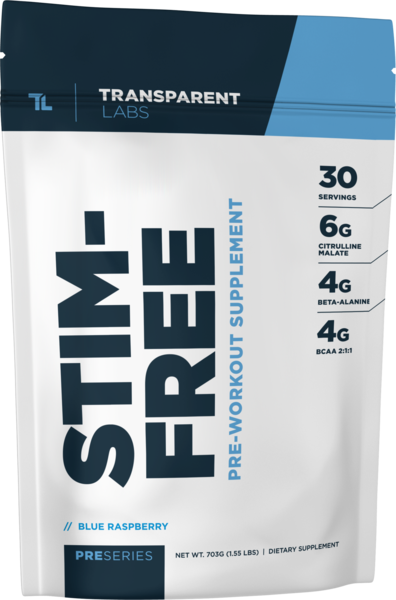 Our top choice is PreSeries Stim-Free for its excellent ingredients in strong doses and the fact that it is all natural. 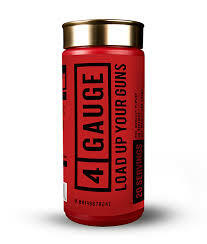 We also really like 4 Gauge, it has awesome ingredients as well and has stimulants to give you a serious energy boost. Make sure to follow the dosages correctly to get the most out of these supplements. 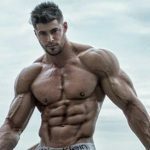 If you use these supplements and hit the gym hard you will get results, without question.